An insider's view of headline-making events from one of the senior-most naval officers in the Pacific. 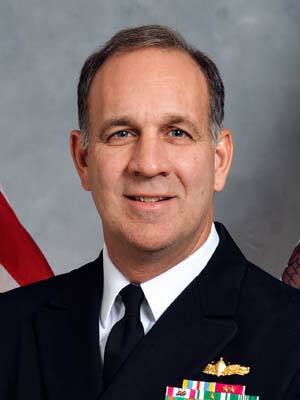 Admiral Weigold is a Greenwich native, and a Navy veteran of over thirty years and many active-duty and reserve commands. As one of the most senior officers in the Pacific Fleet, he is a highly sought-after, expert speaker on current events in the region, and will discuss with us topics including nuclear proliferation in North Korea, and the recent collisions involving the USS Fitzgerald and the USS John McCain. Your questions and comments will be welcomed in this dynamic, interactive conversation. Fittingly, the venue will be on the water, at the stately Riverside Yacht Club. This program is being offered by the Harvard Club of Fairfield County and will begin at 6 pm, with heavy hors d'ouerve and a cash bar, followed by Admiral Weigold's remarks, and then coffee and dessert. Business-casual attire. $45 for HCFC members and their guests, and $57 for non-members.